To analyse the mechanisms of the State’s security apparatus in Brazil and in the UK, differing institutional challenges, and differing strategic priorities. To discuss the relationship between police and communities and the legal mechanisms of criminal investigation in London and Rio: with special focus on the experiences of the UPPs (Pacifying Police Unit) and Rio’s Homicide Division, and British experiences of neighbourhood policing and policing by consent. To address within a human rights framework the actual experience of public security initiatives in situations of crime and violence, reflecting on the efforts of civil society institutions working for policy change in both countries. To look at how cultural and artistic initiatives can influence public security policy and transform relationships between police and citizens. 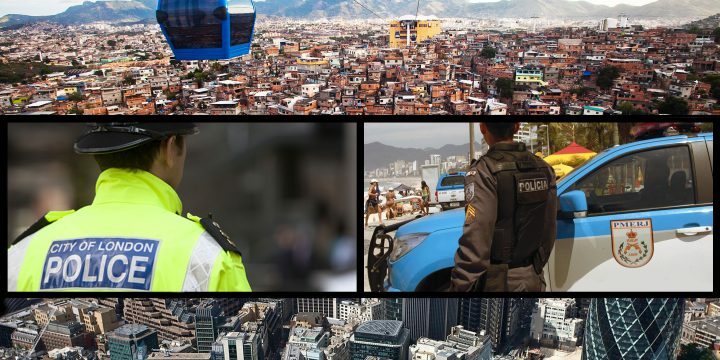 The seminar is part of the research project Someone to watch over me, new ways of understanding the Police, culture and the favela in Rio de Janeiro, led by Dr Eliana Silva (Director of the Maré Networks), who has been awarded a Newton Advanced Fellowship (2015-17) by the British Academy. The project is supported by the Federal University of Rio de Janeiro and Queen Mary University of London. 09.40 Introduction to the seminar by Professor Paul Heritage, Artistic Director at People’s Palace Projects, and Dr Eliana Sousa Silva, Founder and Director of Redes da Mare? 09.55 Incursion – short film produced by Escola de Cinema Olhares da Maré, documents the evening of the 5th April 2014, the night preceding the arrival of the Brazilian Army in the Complexo da Maré, one of the largest concentrated favela territories in Rio de Janeiro. 11.30 Session Two: The Relationship between the Police and Society, with special focus on the experiences of the UPPs (Pacifying Police Unit) and Rio’s Homicide Division, and British experiences of neighbourhood policing and policing by consent. 14.00 Why are the police so violent? – Short film produced by Escola de Cinema Olhares da Mare? based on an essay written by Dr Eliana Sousa Silva.